Our new 18T Mercedes Vehicle has arrived! Desmond Boyle proudly holds the keys to our new 18T Mercedes our new addition to our expanding fleet. We’ve Moved! National Sameday New Warehouse Facility at London Luton Airport Opens. Team National Sameday bids for the cup in charity football match! We provide expert urgent same day courier services. 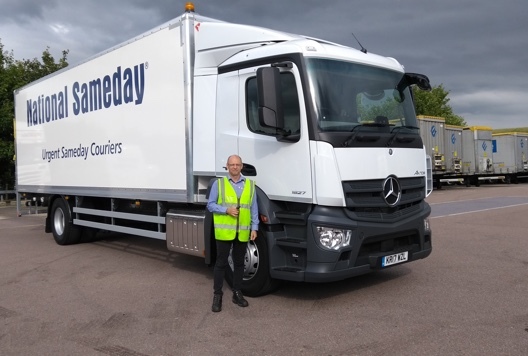 With over 25 years of experience we’ll ensure that you’re always getting professional same day courier service to a diverse range of industries. © 2019 National Sameday Ltd. All rights reserved.